You’re sitting on your bed staring down at the awesome tarot deck you picked out a month ago. “It’s just so vague.” You’ve had a few rough weeks, and you are trying to pinpoint how things are going to be, but the spread the book told you to use just doesn’t seem to be helping, and it’s driving you nuts trying to remember what each card position represents! “Did I turn that card over right? Ugh!” “How can I get answers that feel like answers?” Calm down, step away for a moment and relax. This is your personal tarot deck – why not try doing tarot your own way? Prefab tarot spreads may be too confining for you. Going back and forth from the illustration to the definitions could make you feel restricted and unnatural. There are different kinds of card readers. Some read what the card makes them feel, and some know card theory. Many do both. Let’s talk about natural card reading, first of all. Intuitive card readers are people who can take a tarot deck or even a deck of playing cards, flip the cards, and tell you something you know to be true – simply by looking at the pictures. Each card is like a story block in a graphic novel. 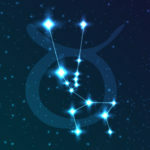 As you look at the individual card, you will progress to an end point – usually symbolized by a card that appears to express a form of finality. Try this out – ask yourself a question. Make it something very simple, like “what is the first thing I did today, after getting up?” Focus on your question as you cut and shuffle your deck, and then flip your cards from side to side. Lay out six cards horizontally. What do you see? For example, perhaps you have the 7 of Coins inverted, with the Queen of Coins looking at the 7 Coins, the Lover Card (a card with two or three people on it), the Ace of Batons, the Magician, and the Sun Card. What does this mean to you? It might look like you were adding up your money and bills, because you wanted to take some friends (or your kids) to a baseball game for the day. Asking questions you already know the answer to is a great way to get comfortable trusting your intuition. This is actually fun to do with a friend. The more you do it, the stronger you’ll become. Card readers who follow the book on Tarot are more structured than this, but they also need to learn to use intuition. Even if you prefer to read intuitively, it’s also important to get to know the cards. After reading your tarot manual and taking in the basic meaning of the cards, spread your deck out so you can see the card faces… Ask yourself what you want to do in the future, for instance. Do you want to be a great mother? An attorney? Do you want to own an ice cream shop? What cards symbolize the person you desire to be? Pick out the cards that really speak to you. If you want to own your own ice cream shop, you’d like to be a business owner. Choose the King or Queen of Coins, or the Emperor or the Empress. Then ask yourself about your motivation. Do you want to make people happy and indulge them a little? Do you want to be a success? You may want these things to happen soon. Sift through your deck, and find the cards that relate to your desires. Keep these cards separate from the rest of the deck for a few days. For a few minutes each day, reflect on what the special cards mean to you. It is important to meditate, and focus on our goals from time to time – so use these cards as a focal point while you relax. Envision yourself in your ice cream parlor with a line of customers that wraps around the block. Gradually, incorporate these cards back into your deck. What you have done is create “champion” or “power” cards. These cards, when you are ready to start doing small readings, have become intimately familiar to you. Power cards stimulate imagery, and give your intuition a boost. You can create power cards for any aspect of your life. This is your deck! Beginning readers should always start small. Whether you are interpreting pictures, reading by theory – or both – starting small will help to keep confusion to a minimum. Let’s start with a three-card spread. The three cards you choose will represent the past, present and future – as well as the immediate situation, and two possible outcomes. Ask your question as simply as possible, but don’t start out with yes-or-no questions. Keep it simple, so you can sort it out in your mind easily. “What will happen if I eat 24 homemade chocolate chip cookies today?” Focus on your question, while you cut and shuffle your cards. Then flip each card from side to side, placing them in a horizontal row. This is a safe starter question, because you already know the outcome of eating two dozen cookies in a single day – but what do the cards say? If the first card is a 4 of Cups, which represents the past, it can mean that bitter past experiences are making you wary of repeating the past, or wanting something for yourself. It might mean you’re looking to withdraw from involvement. If the second card, which represents the present, comes up as the 7 of Coins, it might mean a windfall, a success, or showing off. The third card, which represents the future, might be Temperance, inverted. This card could mean the need to have been moderate, or it might point to folly. It could indicate that something is out of balance. Eventually, you might want to practice on friends. Note when your power cards appear. 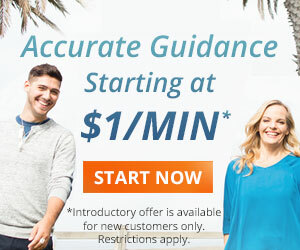 What are they saying to you in reference to the questions that other people are posing? Don’t be afraid to follow your first reaction when you’re interpreting cards – this is your intuition, and it’s training you to trust it. After you get better at your readings, you can start adding more cards to the spreads. Gradually, you’ll discover your own reading style – and then you’ll be doing tarot your own way! Good luck. What messages does the Tarot have for you? 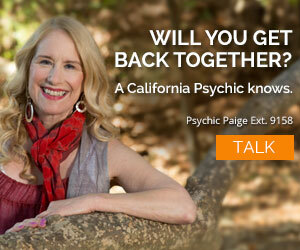 Talk to a psychic for answers. Call 1.800.573.4830 or click here now.